If you are caring for a loved one who suffers from dementia, you are far from alone. The Alzheimer’s Association estimates that 5.8 million Americans are currently living with dementia. An unfortunately frequent consequence of old age, dementia can lead to severe memory loss, confusion, lack of self-care, and other problems. Fortunately, assisted living communities are well-prepared to help dementia patients achieve a high quality of life. One of the most significant methods for dementia treatment is memory care. 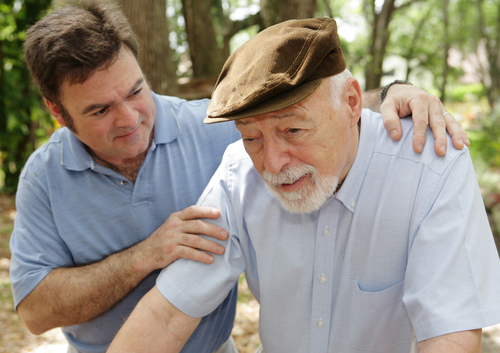 What is Memory Care? How Can it Help? Memory care involves setting up routines, structure, and stimulating activities to keep dementia patients safe and happy. Assisted living facilities frequently offer memory care programs or other forms of dementia care for seniors. There are multiple advantages to placing a loved one with dementia into memory care. A lot of us tend to go through our days on autopilot. Our brains are so used to our habits that we don’t even have to be fully engaged to do them. Maintaining this kind of familiar, meaningful activity can help your loved ones manage their dementia and continue their lives relatively peacefully. If dementia or Alzheimer’s patients feel lost or confused, they will often wander in search of a familiar landmark. Of course, this can be very dangerous if they get separated from their caretakers. In a memory care facility, your loved ones will have plenty of room to walk around in a safe environment. Caretakers will make sure the patients know exactly where they are and prevent them from leaving the safety of the home. Socializing with friends and family members is especially crucial to maintain a high quality of life. Not only will memory care facilities happily accommodate family visits, but they also provide opportunities for your loved ones to spend time with others their own age. Friendly caretakers will provide activities and encourage social time to keep the patients happy and active. Maintaining old hobbies can be just as important as maintaining a routine. Some assisted living facilities allow residents to bring favorite mementos from home, as well as materials for old hobbies. Did your loved one love to scrapbook? Bring craft paper and photographs, or ask if the home will supply some. Pro Tip: Sound can bring out memories that other activities might miss. Make sure your loved ones can continue to listen to their favorite music in their new assisted living home. As hard an Alzheimer’s or dementia diagnosis can be to accept, you now have a wide variety of quality care choices. Your loved ones will be in good hands with memory care. Have a question about memory care? Join the conversation and help others answer their questions too.